Search the web for more on Göcek. 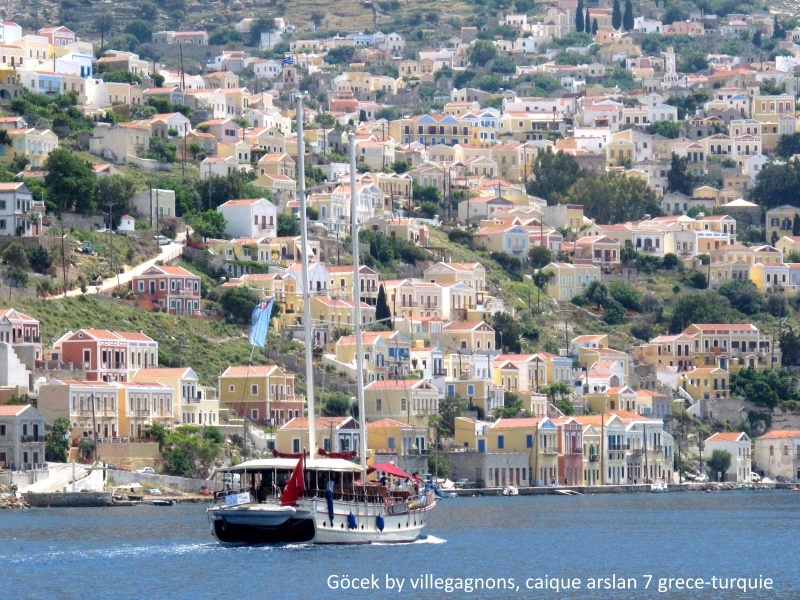 Göcek is a popular destination for yachters, sea lovers, and other visitors. Many yachting companies offer tourist excursions. The village itself is small, with a population of 4500. This is not a crowded tourist destination, but the Göcek area offers luxury accommodations and fine dining that appeal to a sophisticated crowd, as well as a range of other hotels and restaurants. Göcek is situated in the southwest of Turkey on a small bay that opens to the Mediterranean Sea, and is about 12 hours from Istanbul by car. The closest major airport is Dalaman International Airport, about 20 minutes away by car, and other accessible airports include Milas, Izmir, Antalya. US citizens need a valid passport. A tourist visa can be purchased upon entry for short stays. The price is moderate, generally $20 US, and the visa is generally valid for 90 days. American tourists are advised to plan carefully for a vacation in Turkey. A Turkish vacation can be very enjoyable, but American strangers to the country should not just rent a car and take off. The drive from Istanbul to Göcek sounds nice, but is not a recommended solo experience for strangers. The border with Iraq (not near Göcek) is, as one would expect, heavily secured, and other areas of the country are not easily passable. Low-profile American tourists are not automatically targeted, but there are terrorist groups in Turkey who target Western interests. As security tightens around high profile targets such as embassies, terrorists may occasionally be attracted to "softer" targets. Keep a low profile. The country is mostly Muslim, which is not a problem in itself, but the cultural environment may be unfamiliar to Americans, so discuss this with a travel agent. Southwestern Turkey offers wonderful Mediterranean scenery alongside archealogical and historic sites. The Turkish word for the Mediterranean is "Akdeniz", literally translated as "white sea". The beautifully colored sea also gives rise to the phrase "turquoise coast". The beaches near Göcek are clean, and the proximity to Greece has helped to nurture a busy tourist industry.